Summary: For global warming propagandists weather is not climate, unless it proves global warming. 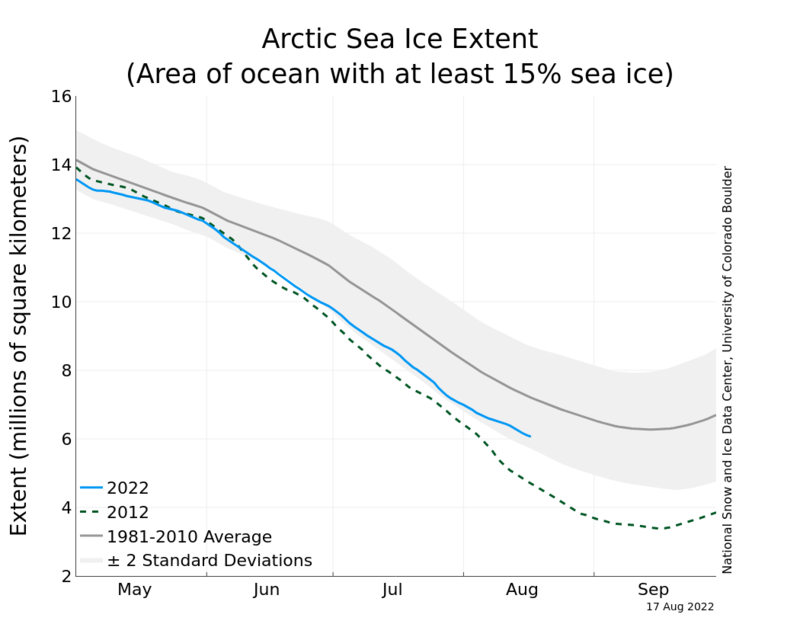 So again we’re playing watch the arctic ice melt (e.g., Mark Serreze of the NSIDC, Berkeley economist Brad DeLong). 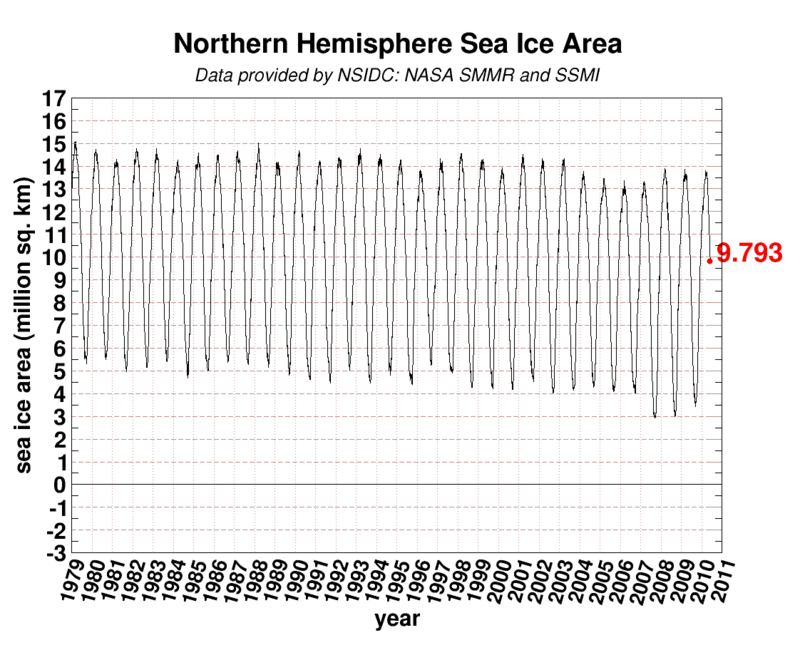 Sea ice extent was near the 1979-2000 average in early April. Now, two months later it’s over 2 standard deviations below the average. More proof of co2 causing global warming! Let’s look more closely at the data and research. Over the short-term wind has had a larger impact than co2 on arctic ice. Over long-periods soot (pollution) probably has had a large impact on arctic ice. Accurate diagnosis must precede treatment, true for climate scientists as well as doctors. Does this short-term trend tell us anything useful? Here is the graph Delong cites. 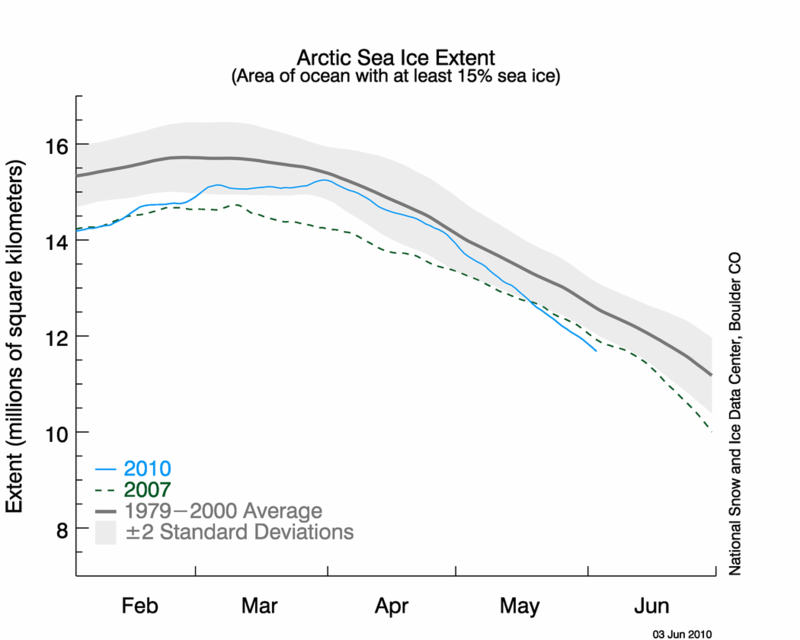 Sea ice extent was near the 1979-2000 average in early April. 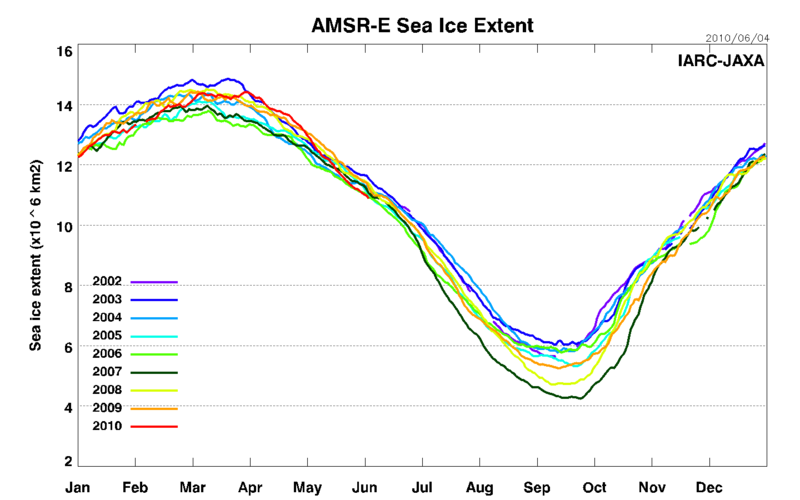 Now, two months later it’s over 2 standard deviations below the average (per the National Sea Ice Data Center). (2) Does this short-term trend tell us anything useful? 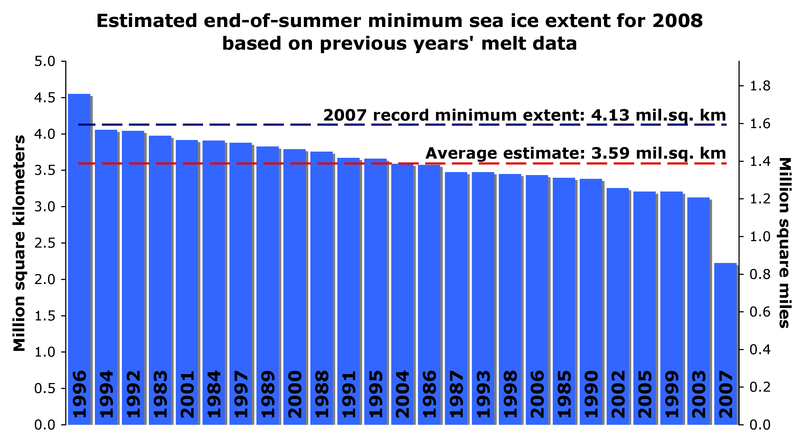 Prior to August 1, the graphs tell us just about nothing about how the summer minimum is likely to turn out. The fact that April, 2010 had the highest extent in the DMI record tells us little or nothing about the summer minimum. There are too many dependencies on ice thickness and summer weather to make a meaningful prediction based solely on the extent graphs. NSIDC has used other methods of prediction, and done poorly – such as this forecast of a record low made in May, 2008. Extent tells you nothing about thickness. (3a) Wind strength and patterns cause much of the annual variation in the minimum area/extent of the arctic ice.